The 1925 camp season may have been just as successful as the first in 1924, but behind the scenes the Torrington Council was struggling. The council only had enough funds to pay Scout Executive Herbert McLeod part-time. Often the scout office was only open evenings, because McLeod had to work elsewhere during the day. Without the support of a full-time executive, the Council’s youth membership stagnated, and nearly a fifth of the Scouters dropped their registrations. 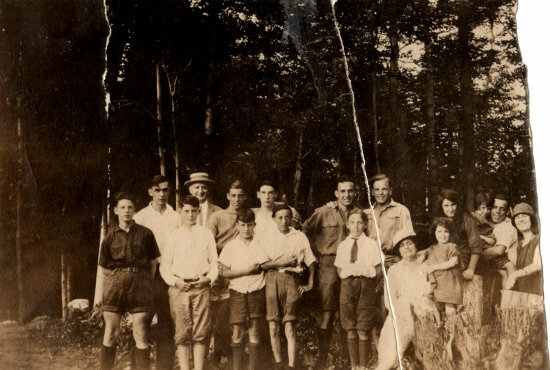 This lack of engagement showed in the 1926 camp season; while Camp Workcoeman accommodated 20 boys per week in 1925, in 1926 the camp size was limited to 16 boys a week, for the same four-week season. In 1927, Camp Workcoeman was only open for two weeklong sessions in July, and a few weekend sessions during the month of August. Because Chief McLeod was committed to his other job, Alex Goodskey, a teacher and outdoorsman, served as Camp Director. However, council volunteers used the camp season to grow Scouting in Torrington. From around the city, boys not involved in Scouting were recruited to attend camp, and also sign up as Scouts. The camping committee offered numerous facility improvements to attract more campers; in addition to tent platforms and new cots, the council completed a dining hall and kitchen that had been started the previous year. Neils Rosenbeck, Chairman of Troop 10, and John Calder, Council Vice President, organized most of the fundraising for the new hall, but their drive also helped to secure the financial future of the council. Frank Coe’s widow, Jennie, coordinated recruiting among the registered boys, through the Scout Mothers' Auxiliary. The Auxiliary was originally an informal group, made up of Troop 2 moms, who arranged transportation for camping trips. Jennie Coe got involved late in 1926, and the organization was formalized with her as president early the next year. She tried to get every Scout mother in Torrington to join, and then encourage them to send their boys to camp. The Auxiliary was a mix of social club and fundraising arm, spending just as much time fundraising as out picnicking or at card parties. They provided camp scholarships and many of the niceties that did not fit into the council budget, ranging from curtains for the kitchen to the camp’s first archery set. The photo below shows Jennie Coe and several visitors, along with the camp staff, at Workcoeman in the late 1920s.